A shocking turn in a Virginia case as a woman, Megan Hargan, has been arrested for murdering Helen Hargan and Patricia Hargan, then staging the scene to look like a murder suicide. 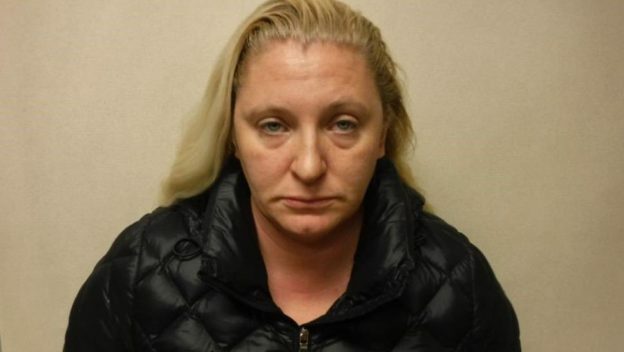 Fairfax County police arrested Hargan, 35, on Friday for the July 14, 2017 deaths of her mother Patricia, 63, and sister Helen, 23, in their home in McLean, Virginia. Helen was found in a bedroom with the gun by her side, while Patricia was dead in the laundry room with shell casings on the floor – all indicating Helen killed her mom and then turned the gun on herself. Police then learned that Megan had allegedly attempted to transfer money out of her mother’s bank account both the day before and the day of the murders, which seemed suspicious. “Megan Hargan attempted fraudulent money transfers from her mother’s account on The date of the murder in the day before,” Carroll explained. Hargan has been charged with two counts of first-degree murder and two counts of using a firearm in the commission of a felony. She has not yet entered a plea. “I’ve known that it was coming, and now it’s here. It was like it all blew up in your face,” said Tammy North, Pamela Hagan’s sister, told CBS WUSA 9. Shs has been waiting for charges to be filed against Megan for a year and a half. “Oh yeah, there’s never been any question. I believed from day one that she did it,” said North. She said the motive was money and jealousy. North said Pamela had bought the younger daughter Helen a house that she was about to move into, before she and mother were killed.